Allensville, Ky – Family operated grain farm. Practicing soil conservation, no till farming & providing personal care to each farm we lease. Long Vue Farms gets an upgrade! We are updating our website, revamping our social media accounts, and launching a newsletter. We realize that agriculture is an ever-changing industry and that a new generation of farmers and landowners are entering the playing field. Long Vue Farms wants to utilize all of the tools that we have available at our fingertips to communicate with our landowners, employees, fellow farmers, and consumers. One of the biggest assets of modern farming is technology. If it weren’t for modern ag technology, it would be impossible for farms to produce the amount of food and fiber needed to supply the world today. For instance, we recently uploaded our grain contract spreadsheets to our Google Suite, and now the numbers we live by are only a click away, no matter where we are, instead of being stuck in a desk drawer or on a computer at the office. This is just one of the many reasons for having access to up-to-date technology is vital to our trade. Not only is updated technology important for the business side of farming, technology also plays a big role in the field as well. For example, GPS guidance allows equipment operators to make perfectly straight rows when planting, spraying, and harvesting, which improves efficiency. Section control uses GPS to record where seed, chemicals, and fertilizers are applied and automatically turns sprayers and planters off to prevent overlapping. This allows for minimal use of products. 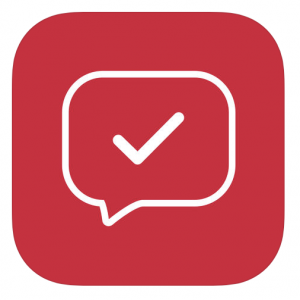 One of our favorite new implementations of technology is the Crew App where we are able to see lists of tasks that need to be accomplished in the office or field. Employees can collaborate in real-time on different topic-related threads. While we’re constantly looking for ways to improve operations through technology, we’ve been sometimes hesitant to depend on it because, in rural America, technology is both a blessing and a curse. Just as we were some of the last folks still using well water while we waited for the county to lay water lines to the farm, we are still waiting for consistently reliable internet service from local providers. It’s just the nature of being…well, rural. Nonetheless, these are good struggles because they relate to progress. We are grateful for the opportunities and efficiency that technology affords the agriculture industry when we can benefit from it. At Long Vue Farms we’ve learned to use these advancements where we can, but we know how to get the job done with or without it! Welcome to the new Long Vue Farms website! Farming has been our way of life for decades. Although some faces have changed through the years, our values and goals have not. Our land and our people are our greatest assets.